Double Cleanse has become so popular these days that it has become a favorite evening skin care cleansing method for many, myself included. Cleansing your face twice in the evening might sound like a hassle, especially if you just got back from a night out. However, those couple of extra minutes you spend can seriously make a world of differences. Double Cleanse is an important step in your skin care routine. It can ensure that makeup, dirt, bacteria, excess oil, and other residues are cleaned off your face before you start applying serums and face cream. There are many variations of oil cleansers these days for the first step of the Double Cleanse. There are the traditional liquid oil cleanser, the innovative balm oil cleanser, and the new gel-oil/pool cleansers. All of them functions the same, however, the process to get there is different for each one. 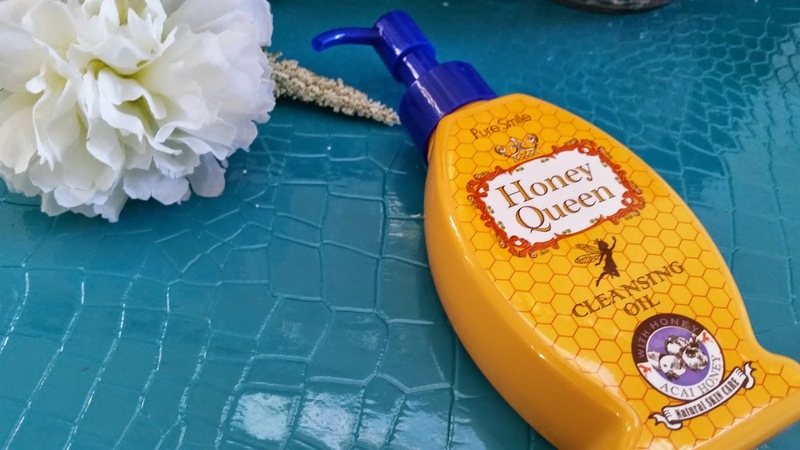 The review today is on the Pure Smile Honey Queen Cleansing Oil. This would fall under the traditional liquid oil cleaner. I got this cleansing oil in my Memebox collaboration box with CutiePieMarzia. It was their 3rd collaboration box with CPM. 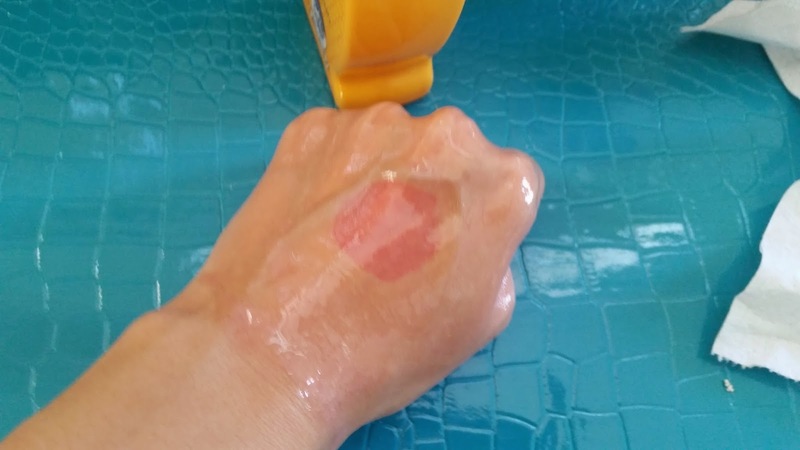 Read on to see my thoughts on this product! Product Description: A liquid cleansing oil formulated with honey and Acai berries. It's used as the first step in a double cleanse routine. It can melt away makeup, even eye and lip makeup, with ease without stimulating the skin. To use, take 1 to 2 pumps and gently massage the cleansing oil onto the skin. Massage for 30 seconds to 1 minutes before rinsing it off with warm water. My Thoughts: I like to use some of my hardest to remove makeup to test new cleansing products. So here are some of them below. 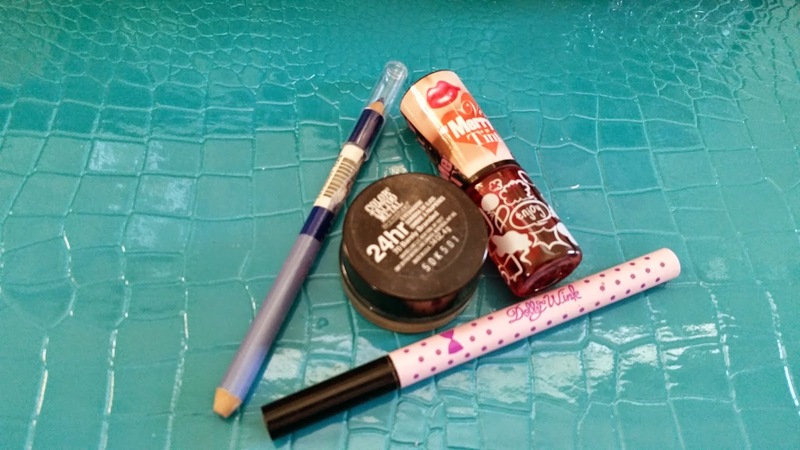 My favorite Dolly Wink liquid liner, YET gel-jelly lip tint, Maybelline 24 hour cream eyeshadow, and a random blue eyeliner that I only use for these kinds of testing purposes now. I always clean my eye and lip makeup with a separate remover because of 2 reasons. First, I am just so used to doing so. Second, although some oil cleansers promises to remove eye/lip makeup, it actually does not do a good job of it. I often find that foundation and BB creams are the easiest things to clean off and it is usually eye and lip makeup that are harder to clean. Which is why I use these products to test many of these types of cleansers. I did this test before I even patch test it, just because I wanted to see how well it will work before I begin my long patch test. I started by doodling on the back of my hand. 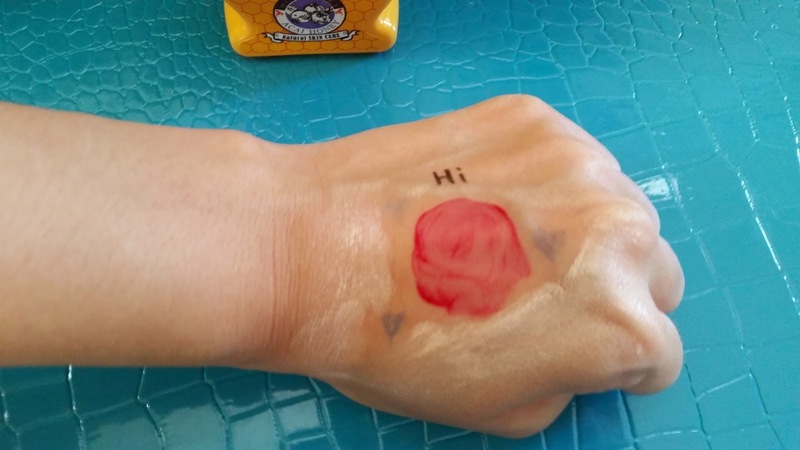 As you can see in the picture below, I drew a rose (or blob, depending on how you look at it) with my gel-jelly lip tint, colored around it with the dark blue eyeliner and cream eye shadow and wrote 'hi' with my liquid eyeliner. P.S. I wasn't going to draw a rose at first, it was going to be a heart, but I didn't like how it turned out, so I turned it into somewhat of a rose instead. Now, for the test! 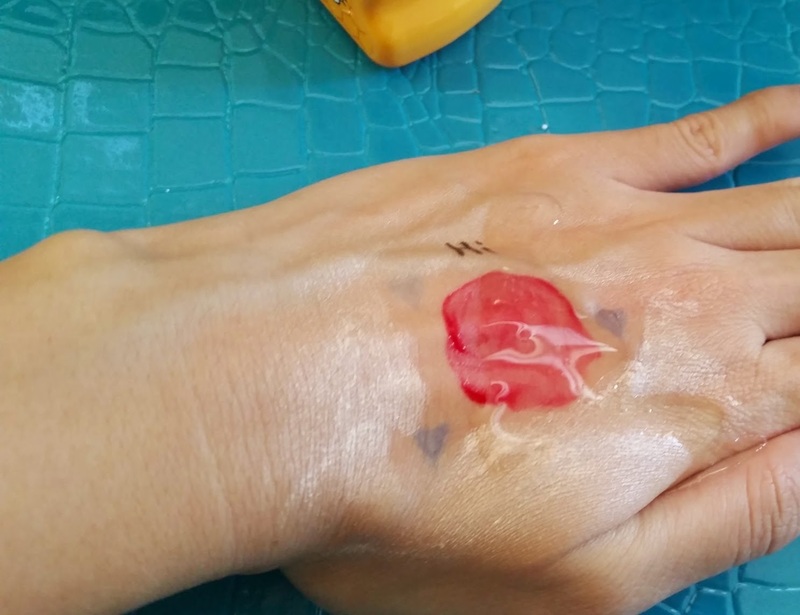 I started with 2 pumps of the cleansing oil for the back of my hand and began massaging. I really liked the smell of this cleansing oil. It's sweet and smells a bit like honey but not overwhelming either. The first 2 products that were removed by this oil cleanser were the cream eyeshadow and the blue eyeliner. After some more massaging, I was able to remove my liquid eyeliner too. The hardest product to remove was my gel-jelly lip tint. During my test I discovered something. That is that my gel-jelly tint has amazing staying power and I'm going to having another look at them. I might just fall back in love with them again. Anyways, as you can see in the picture below, I was unable to remove the lip tint fully. I even tried rinsing it off with water than adding a new pump of cleansing oil to clean it off. However, I was unsuccessful and the lip tint mark stayed. This reinforces my reasons to use a separate eye/lip makeup cleanser even if the products promises to clean off eye/lip makeup as well. 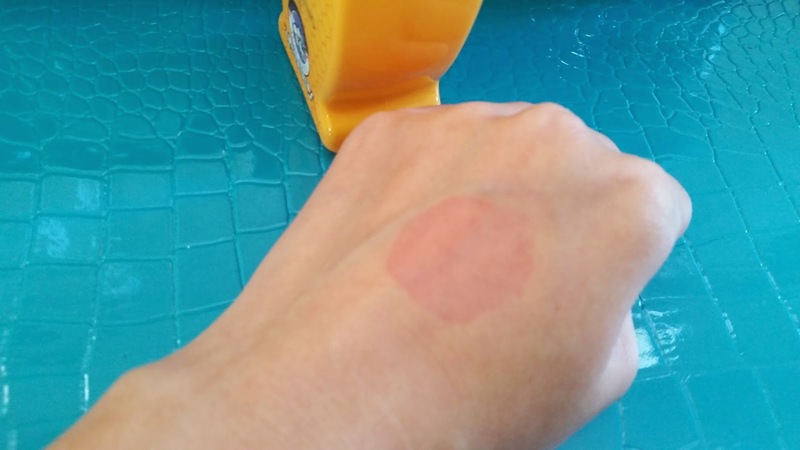 Since the oil cleanser was able to cleanse off most of the makeup with ease and the only issues was the lip tint, I thought I'd give it a run through of my patch tests, just in case I end up liking it. Unfortunately, this cleansing oil turned out to be not for me. The first part of my patch test went fine, it was the second section, when I started to patch test of my face that it began to go wrong. I was unable to find a product ingredient list for this oil cleanser online, not even one in another language that I can translate to English. Not knowing the ingredient list meant that I was unable to check to see if there's any ingredients that my skin doesn't agree with before I started to patch test. (Please note that I always include an English ingredient list in my reviews , pretty much always translated by me when needed. The only times when English ingredient lists are not included in my reviews are times when I was unable to find the ingredient list, in whatever language.) Anyways, I patch tested this Honey Queen Cleansing oil on my face because I saw no issues when I did the first phase of testings on my wrist. The issues I had when I patch tested on my face was that there would always be a heating sensation and some times it would become rather irritating. Although I noticed no break outs at first, I eventually noticed small break outs that turned big and unpleasant. I stopped using the oil cleanser immediately. I was sad that the result turn out to be like so. While I was hoping to find a cheaper oil cleanser that can still do an amazing job without irritating my skin, it seems like this oil cleanser won't be it. I really wish I could find the ingredient list for this product because I always keep the ingredient lists of product that didn't agree with my skin. This way, I can compare the ingredients on different lists to see if there are any similar ingredients on each list to determine which ingredients I should avoid. Ah well, at least this is one cleansing oil that I can cross off my list and put it on my no-no list. I'm glad I tried it and now I know it is not for my skin. Final Thoughts: This cleansing oil is definitely not for me and my sensitive skin. If you have sensitive and acne prone skin, this might not be the cleansing oil for you. I think it would be one thing if it was only irritating to the skin. However, since it was also unable to cleanse off some of the makeup I rated this product as 2 hearts. I liked that it contains honey and Acai berries, which was part of the reason why I wanted to try it in the first place. However, being that this Honey Queen Cleansing Oil is irritating to my skin, I had to stop using it. Looks like I am still on a hunt for a great oil cleanser. While I love my Banila Co. cleansing balm and my Shiseido cleansing oil, I'd like to branch out and try others as well. What are some oil cleansers you've tried and love?